I love getting to capture babies as they grow! 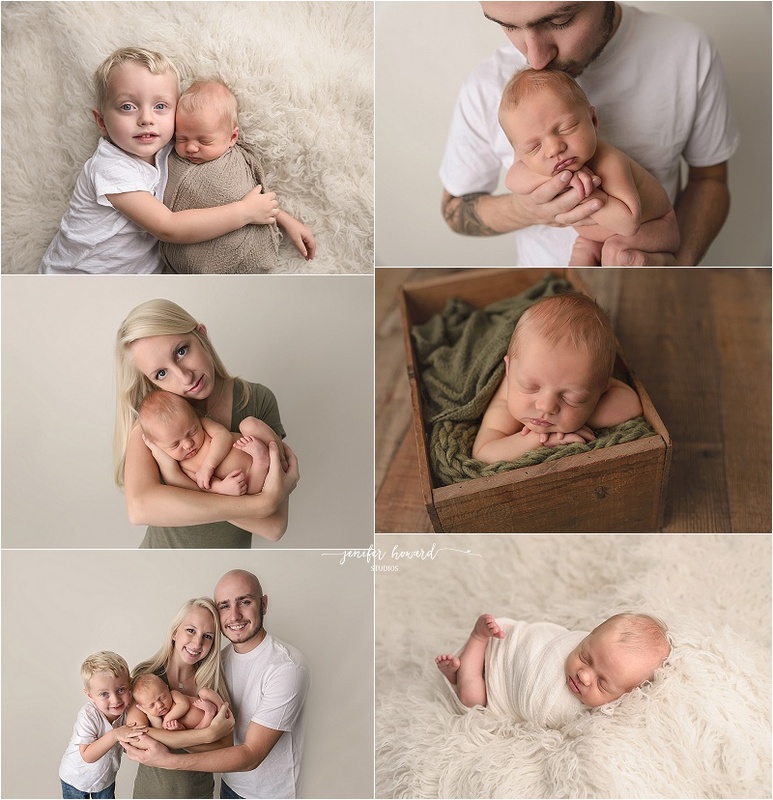 Maddox rocked his newborn session with me, and I was so excited when his mom brought him back to capture his six month Milestone session! Maddox has the most big, beautiful blue eyes and the longest eye lashes! It seems like the boys always get the best lashes! 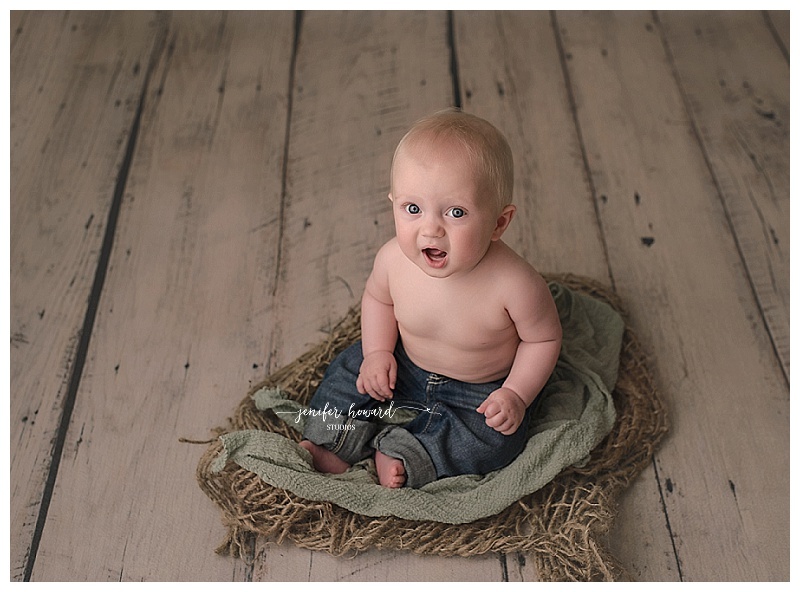 He gave me some of the best baby expressions during his session that really helped me capture his personality! I don’t think I ever posted any images from Maddox’s session, so here are a few of my favorites from his Greensboro Newborn Session. Maddox turned six months right around Easter, so I had to incorporate a few “themed” images on top of my usual classic images. I love this Jute Layer from Luneberry! Look at his long and beautiful lashes! Benson was 5 weeks new when he came to the studio for his newborn session. Benson was born with Transposition of the Great Arteries and underwent an open heart surgery at just four days new! If you haven’t seen Benson’s story, then you can view that post here. I typically photograph babies between 5-14 days new. I have found that this time frame works well because babies have started to get into their routine with eating and sleeping, but they are also still very sleepy! Benson had an open heart surgery at 4 days new, so we had to push back his newborn session until he was able to come home! I’ve never had a baby who was such a natural “poser”. I loved all of the eye contact he was giving the camera! Two Years a go, if I would have seen a “CHD Awareness” post, I probably would have just scrolled on by. Benson changed that. One of the most exciting things about moving back to Greensboro, was that I would be so close to all of my niece and nephews! I was even more excited when both of my sister in law’s announced their pregnancies shortly after I moved back! I couldn’t wait to get to photograph these sweet new babies and watch them grow! My sister in law Christal went into her 20 week ultrasound just like she had with her other 3 babies, but she left worried. They had seen some abnormalities with the babies heart in the ultrasound. The doctors discovered that Benson had a congenital heart disease (CHD) called Transposition of the Great Arteries (TGA), as well as a Ventricular Septal Defect and Atrial Septal Defect. They knew right away, that he would have to undergo an open heart surgery within the first few days of life. Without surgery, he would not survive. The next few months were full of stress and worry for our whole family. We spent a lot of time on our knees praying for his safe arrival and for comfort for my brother and sister in law’s family. I was so lucky to be able to visit Benson a couple days before his surgery and capture a few precious moments of him with his parents. His story has forever changed our entire family. 1 in 110 Babies born will have a Congential Heart Disease. Most babies will require multiple surgeries to repair the damage from CHD. A room with a view. The monitors and equipment needed to take care of Benson before his surgery. With Flu Restrictions, Benson wasnt able to meet his 3 older brothers until he was released from the hospital. FaceTime helped keep the family connected. Duke PCICU – Benson wore several monitors 24 hours a day to keep track of all of his vitals. Benson with his mother at just two days new. CHD Awareness – Benson is the face of CHD. Baby Benson waits to undergo open heart surgery. Greensboro NC Newborn Photography – What do you get when you add two newborn photographer plus one of their newborns together? Pure magic! I’ve been so blessed to have some amazingly talented friends in this industry, and Ashley from Art By Ashley Photography is one of them! We collaborated for Madison’s newborn session back in July, so I was extremely excited to work with her again and start planning her own little man’s session! You hear all the time about “Photographer Child Syndrome”, or basically photographers children never cooperate for photos, that was not the case for Deagan. He was just perfect! He even gave us a couple perfectly timed little smirks! I loved both of these images so much, but for different reasons! Which one is your favorite? 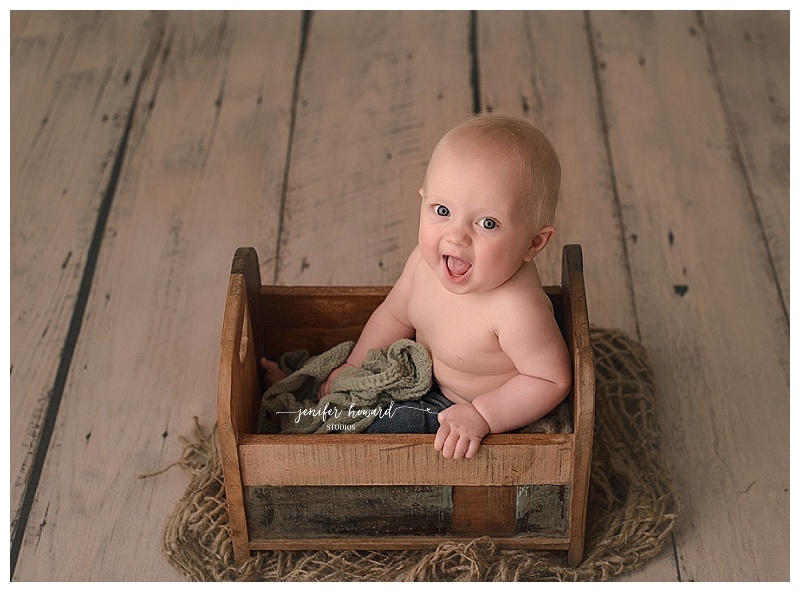 I used my favorite crate that I picked up at a flea market, a curly wool layer from Buttercup Baby Props, and A natural wrap from Red Owl Baby Props. I can’t even handle his sweet little lips in this set up! Deagan is laying on a scarf wrap, an essential blanket from Art My Blanket, and a teak wood bowl that I picked up from another photographers destash. One of the hardest things about being a photographer is finding another photographer you trust to capture your memories. I feel honored that Ashley trusted me to capture her images with her sweet boy. Doesn’t she look absolutely stunning? Oh my heart! Look at his sweet face in this froggy pose! You can see another beautiful layer from Buttercup Baby Props and wrap from Red Owl in this photo. A few months back, I had put out a request to the Facebook universe to photograph some twins! I have found that most parents of twins are overwhelmed and over-tired, so the last thing on their minds is getting newborn portraits done of their newest additions. It takes a little longer to get into a routine, and by the time they find their rhythm, the twins are a few months old and the “newborn” phase has passed. Babies grow so fast! Which is why newborn photographs are so important. I know how overwhelming leaving the house with one infant can be, let a lone two. That’s OK. My goal is to give all of you amazing newborn parents a little break while I snuggle and pose your sweet little ones. Henry and Baker were nothing short of amazing. They were just three weeks new, and still so teeny! When they arrived, I took them out of their car seats and immediately swaddled them right up. They loved it. In fact, they loved it so much they didn’t wake up the whole session! I love it when that happens, even though it is pretty rare! I am sure that these two will be the best of friends. They were so content just snuggling next to each other during their session. I loved this photo of Henry and Baker with their gorgeous mama! Doesn’t she look beautiful? I loved this image from their session. It was so sweet how Baker just leaned in perfectly on Henry’s shoulder. @2016 Greensboro NC, Winston-Salem NC and Triad Newborn & Baby Photographer|ProPhoto Photo Theme | Designed by That's Kinda Cool!